WITH the Senate passing a motion for state and federal co-operation in preventing inappropriate use of phones in schools, let's broaden the scope to our streets. Pedestrians need to be saved from their own stupidity. I've seen two near misses in as many days between cars and clueless zombies who can't take their eyes off their phones or the music out of their ears. If not for the sheer responsiveness of drivers, blood would have been shed. Regrettably, these incidents are all too frequent. Pedestrians are being killed at alarming rates, with indications that they are increasingly responsible for their own fate. 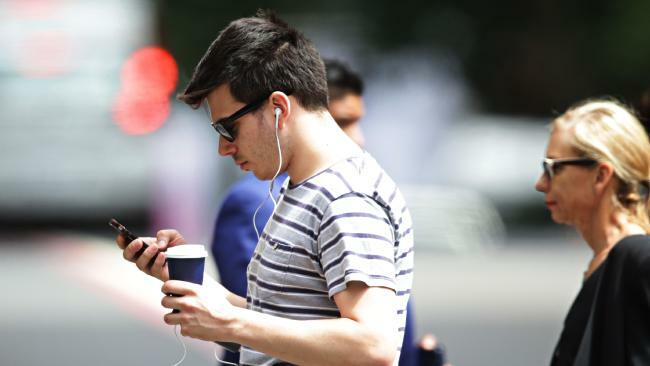 A report from the Australian Automobile Association says road safety campaigns aren't working because people are still giving into distractions - primarily their phones. 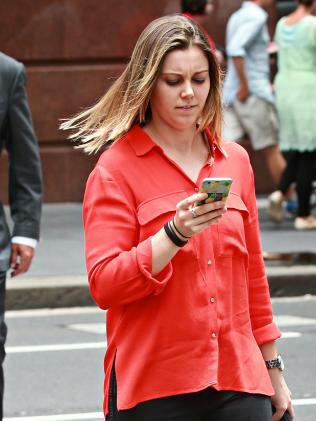 While the national road toll has decreased slightly year on year, the number of pedestrians being killed is little better than what it was in 2013 when this data began being collected. Last year, 159 Australian pedestrians lost their lives, against 158 five years ago. Queensland Police Commissioner Ian Stewart says every loss of life leaves "a grieving circle of family and friends" and "we need every single road user, whether they are a driver, a rider, a cyclist or a pedestrian to take road safety seriously and act responsibly on our roads". He's right, of course, but pedestrians seem to have developed an air of entitlement. It's as if they own the road and can do whatever they please. Yesterday, three young blokes walked across four lanes of traffic - anything to avoid going metres further to a pedestrian crossing - and into the path of my car. I slowed down then gave a quick toot after I'd passed them, hoping to send a message that this kind of behaviour was dangerous. Their response was to give me the finger. Like it was my fault? By law, cars must give way to pedestrians, but when pedestrians persist in jaywalking, ignoring crossing signals and "wexting" (walking while texting), why are motorists to blame when they come a cropper? Idiotic pedestrians, what's more, are not only endangering their own lives, but also the lives of drivers and passengers in the event of a collision. Typically, when people refuse to help themselves, it falls to the authorities to act. 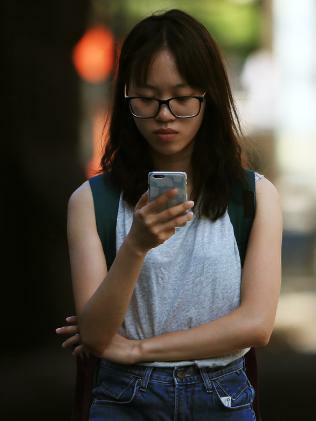 The problem is, though, that unlike banning phones in classrooms - a relatively easy thing for teachers to monitor - police can't be expected to spend time catching pedestrians in the act and fining them. They already have enough to do. The more practical course, then, is for phone manufacturers and service providers to take some responsibility for the devices they've made irresistible. Lauchlan McIntosh, the president of the Australasian College of Road Safety since 2007, likes this idea. "Going back 30 or 40 years, car manufacturers said they couldn't make cars any safer - that it was up to the driver to be safe - but over time they have, in fact, made cars safer in all sorts of ways," McIntosh says. "Phone companies need to step up - it's their customers who are ignoring the dangers and it's their customers who are getting killed. "Through GPS tracking, the phone knows exactly where you are so it wouldn't be difficult to send a message saying you are about to cross the road, for instance." McIntosh says in the same way as workplaces no longer allow people to operate angle grinders without protection, phone manufacturers must install safety procedures in their products in lieu of "always blaming the user". Once makers and providers do more to protect users, individuals will start sharing that responsibility, he says. "If people believe they are being looked after they are more likely to behave in a better way. We need to do as many things as we can. "Crossing the road using your mobile is as dangerous as driving while using your mobile." McIntosh also wants the Federal Government to take charge of co-ordinating a national message and national research on road safety. When I was a kid the mantra was "look right, look left, look right again" before crossing. Today it is "stop, look, listen and think". I think it's time for a different message - one a phone that is truly smart could deliver. When the device detects a user is about to cross a road, it switches itself off. You can imagine the outcry, can't you?